Take US Hwy 183 N to Gonzales, once road divides from 183 & 77 go about 3/4 mile, Lockhart Cemetery Rd in on the right. Buildings are great rentals for investor. Currently leased, 10k per month NNN, additional 10+ acres left to develop. 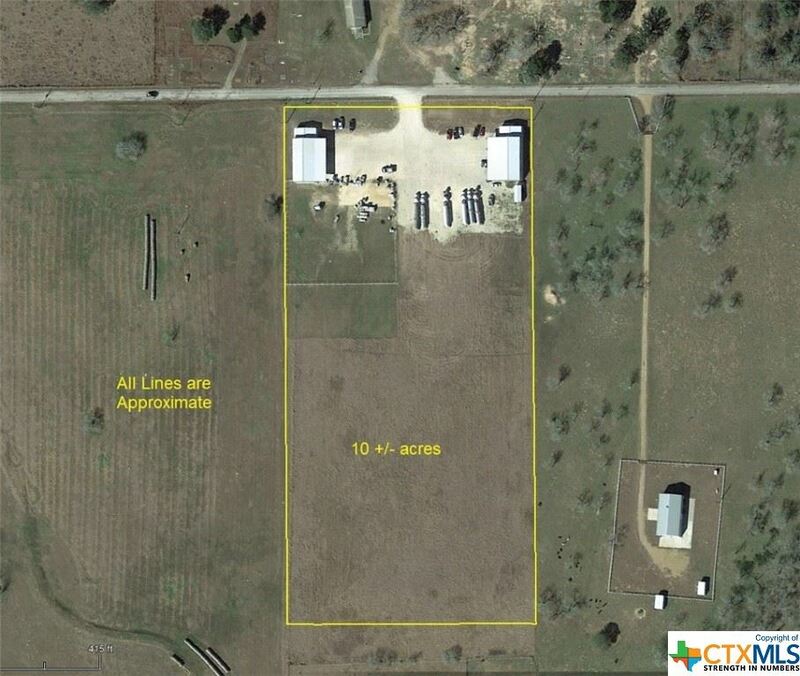 Total 20 ac tract with commercial development. Has been developed with 2, 4,700 sqft buildings, each has 1600 sqft of awning, yard has heavy gravel. Operating businesses on site, do not enter the property or buildings, Call Agent for appointments. IDX information is provided exclusively for consumers' personal, non-commercial use, it may not be used for any purpose other than to identify prospective properties consumers may be interested in purchasing. Data is deemed reliable but is not guaranteed. COLDWELL BANKER © is a registered trademark of the Coldwell Banker Real Estate Corporation. © 2019 Coldwell Banker The Ron Brown Company. Each office Independently Owned and Operated. An Equal Opportunity Employer.